For the Friends of Mount Field (FOMF), 2018 was a year of consolidation. The major project from last year was completed; time was also devoted to more routine and ongoing tasks. Thirty days (a record annual number) were spent doing these field activities and this equates to 942 volunteer-hours of field work—also a record. In addition, 12 hours were devoted to equipment maintenance and an estimated 222 hours were dedicated to administrative tasks including those mandated by occupation and safety requirements together with documentation, preparing and servicing grant applications, and publicity. The monetary value of all these volunteer hours is estimated to be $36,000. In addition a substantial new grant was received and this will be implemented in 2019–2020. 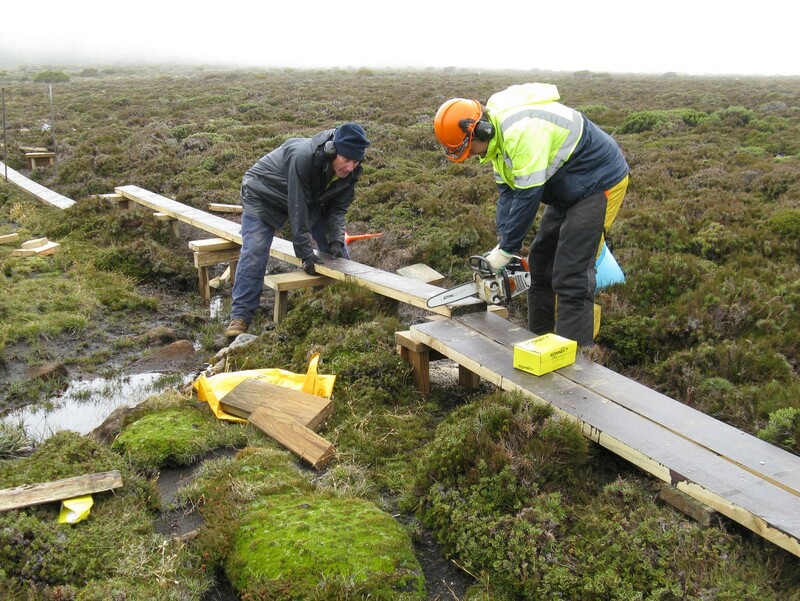 The most significant event for FOMF in 2018 was the completion of the Windy Moor crossing. This ambitious project has now been completed both on time and on budget. Volunteers worked at the site for 22 days during the year assisting contractors and PWS staff. 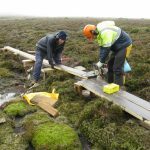 The resulting new top quality 900 metre boardwalk over Windy Moor allows walkers to traverse this fragile and valuable place in comfort while no longer causing environmental damage. 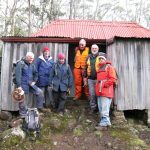 The project, which took a little over two years from conception to completion, was largely funded by the Tasmanian Community Fund; additionally there were several other contributors, both groups and individuals. Important but more routine and ongoing tasks were also completed—these included track maintenance, installation of informational signs and tree planting. 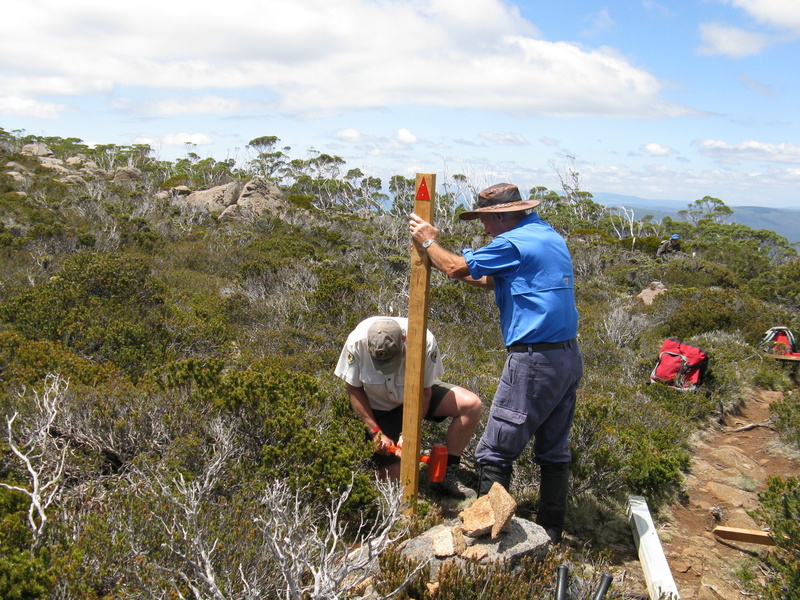 Sections of the Lake Nicholls Track, the Lake Fenton Track including the Kangaroo Moor section, the Marriotts Falls Track, the Old Pack Track and the Urquhart Track near Lake Dobson all received attention, mostly by removing encroaching vegetation and placing flat rocks in wet and degraded sections. Additional informational signs (matching those previously made by FOMF) were placed at several locations including Windy Moor, the Old Pack Track the Lake Fenton and Mount Field East (Lake Nicholls Track) car parks. Signs displaying a little of the history of Beatties Tarn, Lake Nicholls and Lake Rayner were also installed (these signs were purchased with a grant from Wildcare). 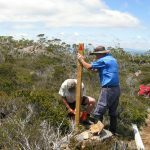 More native trees were planted near the Mount Field Visitor Centre with the aim of keeping visitors to the formed path and discouraging them from taking short cuts and damaging existing vegetation. Additional trees were placed at the Junee Cave Reserve to rehabilitate degraded areas. Assistance was also again given to children from Westerway Primary School to help them plant trees on the Marriotts Falls track. 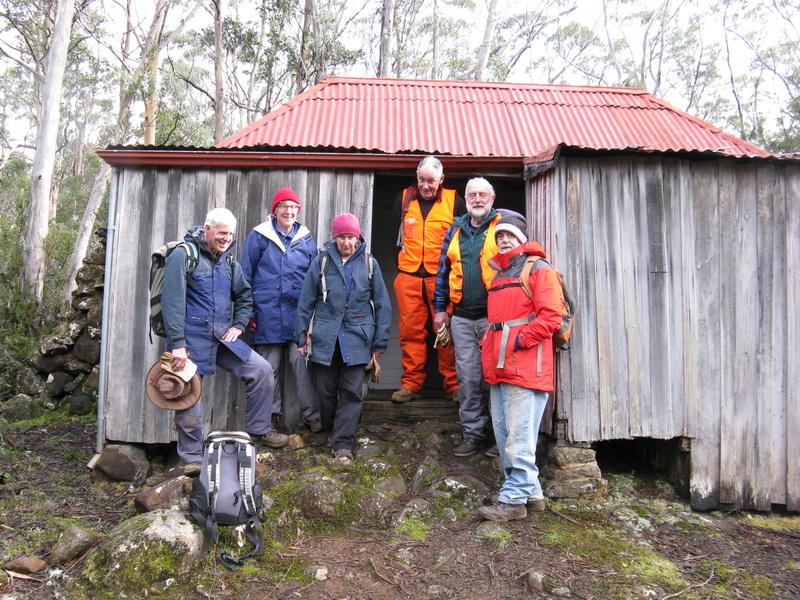 In December the Tasmanian Community Fund announced that it had approved a substantial grant application made by FOMF to significantly upgrade the K Col Track between K Col and The Watcher. Detailed planning will commence in 2019 with the work to be completed in 2020.